Built in 1908, the current University Club building is open only to exclusive members and their guests. If you want to waltz your way into a delicious meal or some afternoon tea, you must be current or retired faculty, staff, alumni, a member of the community, or a corporate member. The University Club building was originally the Science Hall during the Tempe Normal School days and would be known as the Fine Arts Annex from 1949 until it became the University Club in 1990. 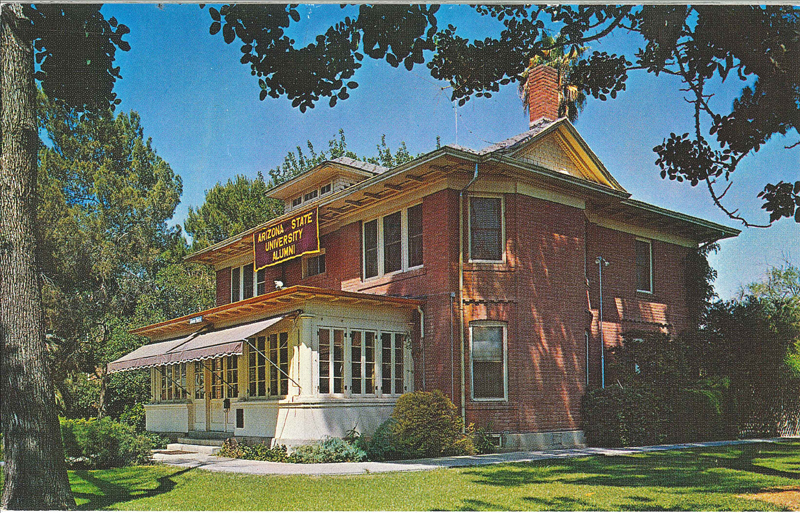 The building can be found on the National Register and the Arizona Register of Historic Places. It has gone through several renovations and today you can find it fully restored with a beautiful grand staircase. The architecture is considered a Richardsonian Romanesque style which is a revival style that stems from 11th and 12th century architecture in France, Spain, and Italy. The revival style got its name from the architect Henry Hobson Richardson, who pioneered this type of structure in the late 19th century. This style of architecture is found all over the country including the American Museum of Natural History in New York City. Colored in postcard of the University Club: Colored in postcard of the University Club from mid-20th Century. Postcard Courtesy personal collection of Joe Nucci. 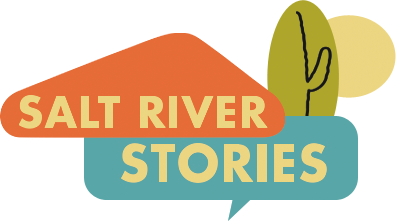 Thomas Black, “University Club,” Salt River Stories, accessed April 20, 2019, https://saltriverstories.org/items/show/68.